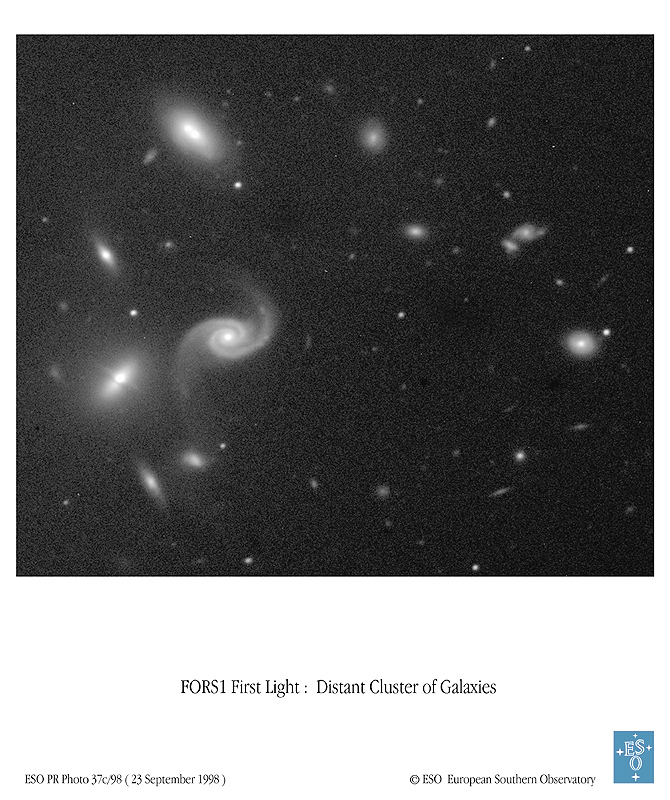 Explanation: Far across the universe, an unusual cluster of galaxies has been evolving. 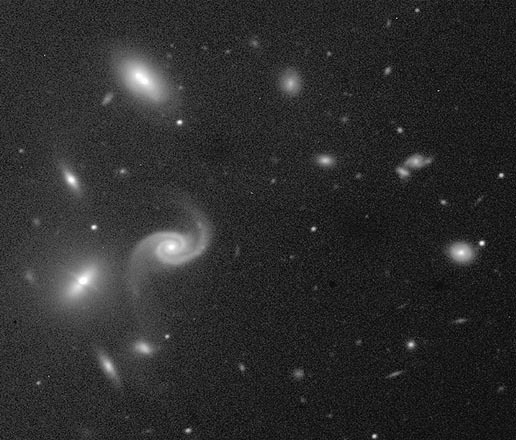 A diverse group of galaxies populate this cluster, including, on the left, an unusual galaxy showing an equatorial polar ring and a large spiral. Above looms a large elliptical galaxy. The reason for the small size of galaxies on the right is not yet known - these galaxies might be smaller or might just lie even farther in the distance. Almost every spot in this picture is a galaxy. Studying distant clusters like this may help astronomers better understand when and how these cosmic giants formed.